Cystic Fibrosis Canada recently shared an update about changes to public access to Orkambi in various provinces. The governments of Saskatchewan, Alberta and Ontario announced their collective agreement to establish paediatric prescribing criteria to determine if patients qualify for public coverage of Orkambi on an exceptional, case-by-case basis. As a result, case-by-case access for ORKAMBI will be considered for paediatric patients between 6-17 years old in Saskatchewan, Ontario and Alberta who have experienced at least a 20 percent relative decrease in ppFEV1 in the last six months sustained for at least six weeks despite appropriate treatment. We encouraged our Facebook community to share any questions about this news and our advocacy team, Kim Steele and Eric Mariglia, responded in the comments. We’ve rounded up the top comments and CF Canada’s responses so everybody has a chance to read them. If you have a question about the recent changes in public access to Orkambi that isn’t listed below, get in touch with us at advocacy@cysticfibrosis.ca. For more information about Orkambi in general, visit our Orkambi webpage. 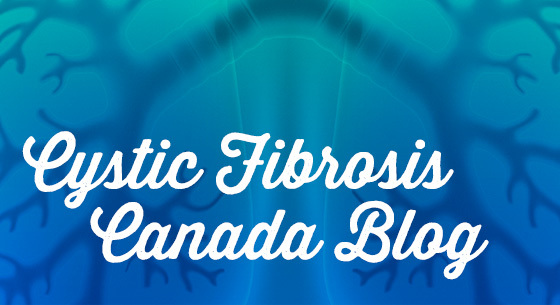 Disclaimer: This blog has been developed by CF Canada for informational purposes only. It does not provide medical advice, diagnosis, treatment or eligibility. Please consult your clinical team. That is great news but what about our adult CF patients? Answer: We are also concerned about the adult population, which is why we are calling on provinces to extend coverage criteria to adults and to reconsider the criteria on an ongoing basis, should there be opportunities to expand the criteria further. What we do know is that decisions will be made on a case-by-case basis (otherwise known as Exceptional Coverage). Almost 61% of Canadians with CF are adults. We are calling on governments to provide equitable access, both in terms of geography and age. CF is no longer a childhood disease. What exactly qualifies as a 20% decrease in FEV1? 20% below baseline? What if a patient has a baseline of 120% (which is certainly possible in younger patients). Would that mean a reduction in FEV1 to 100% would provide access to treatment? Answer: Orkambi will be considered for paediatric patients between 6-17 years old in Saskatchewan, Ontario and Alberta who have experienced at least a 20% relative decrease in ppFEV1 in the last six months sustained for at least six weeks despite appropriate treatment. Please contact your clinician for more information on the criteria. Which doctors made up the panel for this decision? Did these Health Ministers source them on their own? Did these 3 Health Ministers decide on the criteria without consulting with CF Canada, or the doctors from SickKids Hospital that we know have been reaching out to talk about this? Answer: Due to confidentiality restrictions we do not know and will not know who these doctors are. According to these governments, they convened a panel of CF clinicians, who developed and recommended the criteria. CF Canada was not consulted on the criteria. We will be sharing the criteria with the entire network of Canadian CF doctors and welcome their feedback on the criteria that has been established. What does “prescription criteria” mean? If a patient does not meet these criteria can they still be prescribed Orkambi, even if it will not be covered by the province? If Orkambi can still be prescribed, do we expect that private insurers will use the same criteria to determine whether they will cover it? Answer: The prescribing criteria we mention is criteria that participating governments use to determine eligibility for coverage. Physicians can prescribe Orkambi to whomever they think may benefit for it, but it won’t be paid for from government at this time except for those who meet the criteria outlined above. Some private insurers already cover the drug, depending on one’s plan. They have their own ways of assessing which drugs they will pay for, though they are increasingly trying to align with government. Congratulations to those who will receive this but what about the rest of us in Canada? Answer: Our volunteer advocates are working hard in other provinces to ensure coverage. Cystic Fibrosis Canada is calling on all provinces to adopt similar criteria. We are also advocating for the development of a Manitoba cystic fibrosis drug program. Manitoba remains the only province in Canada without a CF drug program or specialized chronic illness program that includes cystic fibrosis, with the exception of Québec. What impact does this have on children already prescribed Orkambi who have private insurance covering the cost? Answer: If that child meets the criteria they should be covered by a participating government plan, but it is likely that your private insurance will be billed first and that government would pay a co-pay. Government is generally the second payer and private insurance is usually the first payer. 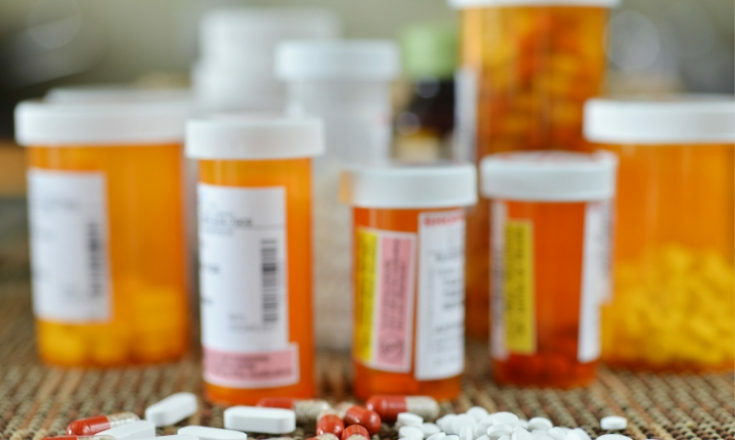 Most private insurance plans have lifetime limits on certain drug costs, so you may want to speak to your employer and/or benefits provider to determine if you have a limit and, if so, what it is. Does “public drug program” mean Alberta Blue Cross non group coverage ? If so, is there a special access form that is available? This is so very exciting!! Answer: “Public drug program” refers to any drug program delivered by government. Each province has different programs. This drug will be covered on an exceptional, case-by-case basis if you have a child who meets the prescribing criteria. Please check with your child’s clinician to determine eligibility. How does this affect Symdeko? Answer: Unfortunately, it doesn’t. Right now, Symdeko may be available through some private and/or employee benefits plans. The manufacturer has not yet put the drug through the Canadian Agency for Drugs and Health Technology (CADTH) review process, which makes recommendations to the provincial, territorial and federal drug programs, nor has the manufacturer put it through the Quebec process, so there is currently no public coverage. Drugs must be reviewed by these bodies in order to be covered under public plans. Symdeko is approved by Health Canada in people ages 12 and older who have two copies of the F508del mutation in the cystic fibrosis transmembrane conductance regulator (CFTR) gene, or who have one copy of the F508del mutation and one of the following mutations in the CFTR gene: P67L, D110H, R117C, L206W, R352Q, A455E, D579G, 711+3A→G, S945L, S977F, R1070W, D1152H, 2789+5G→A, 3272-26A→G, and 3849+10kbC→T. Should you have more questions, please contact the manufacturer directly. Contact us at advocacy@cysticfibrosis.ca to request contact information for the manufacturer. Will our clinic let us know if we are eligible? Answer: You should ask your clinician if you are eligible. What happens to someone who met the following criteria at age 15 and then turns 18? Do they lose access to Orkambi? Answer: This is a good question and one that we will be putting to government. If you would like us to follow up with you afterward, please let us know at advocacy@cysticfibrosis.ca.